Our range of products include food processing conveyor. We manufacture high quality Packing Belt Conveyor which are available in different range options and are well recognized for delivering optimum performance. These are widely used in Food Processing industry for veriety of applications. 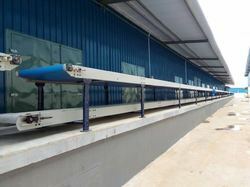 These conveyors can be integrated with completely automatic/semi-automatic or manual machine.